Like most military capabilities, Satellite Communications (SATCOM) can be expensive to develop, procure and operate. Fortunately, help is at hand from third-party commercial SATCOM providers who offer a range of services to military customers. An idea of the costs involved in developing a nationally-owned military SATCOM network can be gauged from examining some recent programmes. For example, the Franco-Italian ATHENA-FIDUS (Access on Theatres for European Allied Forces Nations-French Italian Dual-Use Satellite), which consists of a single spacecraft providing Ka-band (26.5-40 Gigahertz/GHz uplink/18-20GHz downlink) cost both nations a total of $378 million to construct and launch, according to publicly available figures. At the other end of the spectrum, each of the individual satellites which comprise the United States and Australian Departments of Defence Wideband Global SATCOM programme, which totals six spacecraft, costs $300 million, almost the entire cost of the ATHENA-FIDUS development and launch discussed above. Thus, the combined seven satellites comprising the WGS constellation are worth some $2.1 billion, and this is before additional costs such as the SATCOM terminals to equip soldiers, vehicles and command centres to use the WGS constellation, and the ground control stations through which transmissions across the WGS are routed, not to mention the recurring costs of managing and maintaining the system, are taken into account. The cost of SATCOM as it affects Asia-Pacific powers can be seen in perspective when one appreciates that the cost of a single WGS still exceeds Cambodia’s defence budget for 2015, valued at $277 million according to figures released by the Australian Department of Defence (DoD). While military SATCOM remains the preserve of wealthy militaries such as the United States, and also North Atlantic Treaty Organisation (NATO) members such as the United Kingdom, which operates the Skynet-5 constellation providing X-band (7.9-8.4GHz uplink /7.25-7.75GHz downlink) and Ultra High Frequency (300 megahertz/MHz to three gigahertz) communications to the British armed forces and to allied nations, to name just two, such a capability cannot be considered a luxury. SATCOM provides a vitally important means for militaries to communicate between deployed forces, and/or up and down the chains of command. All conventional means of radio communications have pros and cons. High Frequency (three to 30 Megahertz/MHz) radio transmissions can ‘bounce’ off the ionosphere at altitudes of between 46 nautical miles (85 kilometres) and 324nm (600km) where the upper atmosphere effectively acts as a natural satellite dish. Yet, while HF communications boast intercontinental ranges, thanks to utilising this technique, the bandwidth of HF communications can be limited, hampering its use for large, data-heavy traffic such as detailed imagery or video files. A solution to this limitation can be found in Very High Frequency (VHF/30-300MHz) and Ultra High Frequency (UHF/300MHz to three gigahertz/GHz) radio communications. Yet VHF/UHF communications, while providing comparatively more bandwidth, are limited to Line-Of-Sight (LOS) ranges, i.e. one radio antenna needs to ‘see’ another antenna in order to transmit. 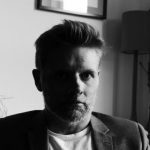 One way around this, however, is to use Mobile Ad Hoc Networking or ‘MANET’ as it is known to the radio cognoscenti to allow communications to ‘skip’ from one radio to another until it reaches its recipient. LOS restrictions can have a serious impact on military operations. US-led combat operations in Afghanistan and Iraq last decade illustrated that high mountain ranges, such as Afghanistan’s Hindu Kush, which runs roughly east to west across the country, plus the ‘urban canyons’ of Iraqi cities such as Fallujah, in the centre of the country, can place both rock and concrete in the way of LOS communications, causing disruption to tactical communications. Similarly, in the Asia-Pacific region, dense jungle canopy, such as the vegetation found on the island of Borneo, can cause similar challenges and block LOS communication. Help is at hand in resolving such challenges via the use of SATCOM. Like HF communication (see above), SATCOM uses high altitudes, in this case the satellite’s antennae to ‘bounce’ across intercontinental ranges to reach its recipient, heading upwards to avoid the potential obstacles of buildings, mountains and thick vegetation. Moreover, SATCOM can carry high bandwidth communications compared to HF. Typically, HF radio can carry data at rates of 120 kilobits-per-second (kbps), while the MUOS (Mobile User Objective System) UHF satellite constellation developed by Lockheed Martin for the US Navy typically offers data rates of circa 384kbps. Military SATCOM is offered across a number of frequencies. As with traditional tactical radio communications, there is no ‘one-size-fits-all’, instead a number of frequencies have their own advantages and disadvantages. L-band SATCOM, which operates across frequencies of 1.3 to 1.7GHz, fairs well regarding ‘rain fade’ (see below) and can use a comparatively small antenna, compared to C-band (5.925-6.425GHz uplink/3.7-4.2GHz downlink); however, only a relatively small amount of bandwidth is available which can make L-band SATCOM relatively expensive. Beyond L-band SATCOM, C-band (5.925-6.425GHz uplink/3.7-4.2GHz downlink) is used for voice and data communications, although given its comparatively lower place in the spectrum vis-à-vis X-, Ku-band (14GHz uplink/10.9-12.75GHz downlink) and Ka-band, it requires a comparatively large antenna, potentially making it less practical for ground vehicles, aircraft or dismounted troops. Nevertheless, its comparatively low frequency allows it to operate well in adverse weather. X-band also has good resistance to adverse weather caused by precipitation, a phenomenon known in radio jargon as ‘rain fade’, where water droplets absorb quantities of radio frequency transmissions, thus degrading the performance of these transmissions. Utilised for wideband satellite communications, X-band uses a comparatively smaller number of satellites with a comparatively wider spatial separation which makes X-band ideal for use for mobile military SATCOM applications. Moreover, X-band SATCOM is reserved by the International Telecommunications Union, the United Nations body responsible for managing the radio spectrum, for use by military customers. However, this has meant that X-band has becoming increasingly crowded as more military users desire X-band SATCOM; this was particularly evident during the combat operations in Iraq and Afghanistan as discussed above. Further up the spectrum, Ku-band SATCOM uses small-sized antennae, suffers less interference from other Radio Frequency (RF) sources and can operate using a dish of under one metre (three feet) diameter. In addition, it consumes comparatively less power, making Ku-band SATCOM comparatively cheaper to operate. That said, it can have some sensitivity to rain fade. Ka-band SATCOM has a greater sensitivity to rain fade but is not yet available globally, unlike other SATCOM wavebands, although, like Ku-band it can use a relatively small antenna, and can have a high susceptibility to rain fade. Moreover, civilian users also utilise the Ka-band, reducing the quantity of spectrum available for military operators. What options are available to nations in the Asia-Pacific which need military SATCOM but cannot afford to procure expensive individual spacecraft, let alone large constellations? The provision of military-grade SATCOM by third parties is providing an answer to such requirements. 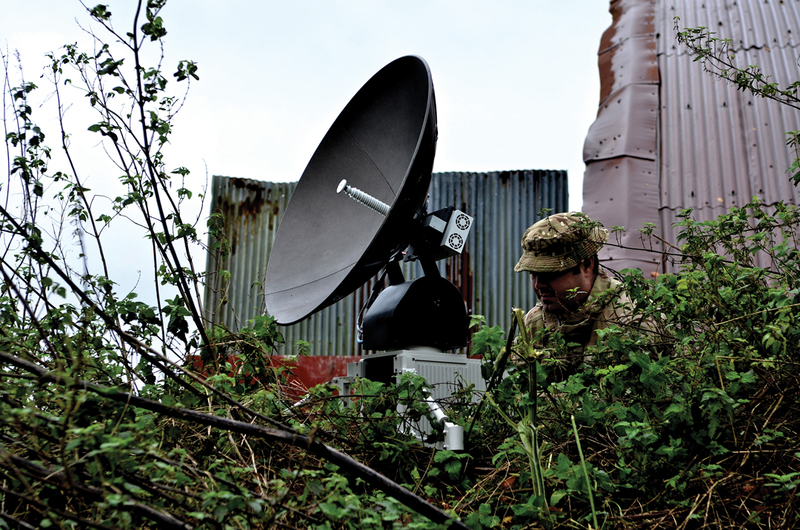 A number of companies across the world now provide bespoke SATCOM services to navies, armies and air forces. Such provision can range from individual SATCOM terminals to equip dismounted troops, ground vehicles, ships or aircraft to the provision of complete SATCOM networks from the allocation of bandwidth for use by militaries, to the provision of the terminals discussed above, and services to manage the SATCOM network. Effectively, military customers receive all the benefits of having access to a large, secure and comprehensive military SATCOM capability without the cost of having to develop, launch and then operate such a network. What is more, companies providing such services can scale them exactly to the requirements of the nation concerned. The company also has a relationship with Airbus’ defence and space subsidiary which provides SATCOM to the UK Ministry of Defence via a Private Finance Initiative which sees Airbus own and operate the Skynet-5 constellation, and its accompanying ground infrastructure, to provide X-band SATCOM. 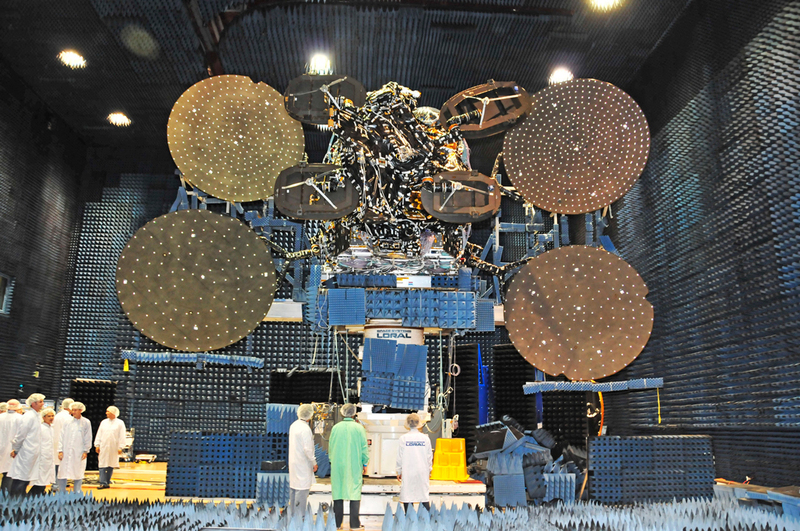 In March 2015, the Skynet-5A satellite was moved to a location of 97 degrees east which made Skynet X-band SATCOM services available in the Asia-Pacific, including over Australia. 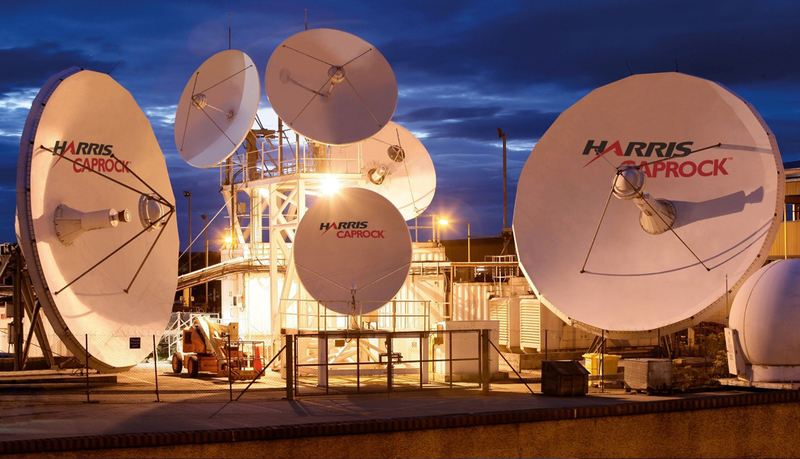 In 2012, Airbus signed an agreement with Harris CapRock to provide additional SATCOM capacity (i.e. spare capacity not being used by the UK MoD or other allied customers) to additional customers. Mr. Parker notes that, because of the move of Skynet-5A, the company is now able to demonstrate X-band SATCOM capabilities to potential customers in the Asia Pacific. Harris CapRock is joined in the provision of military SATCOM by Satcom Direct of Melbourne, Florida which, “offers military end users a broad portfolio of land mobile, maritime and aeronautical services across major commercially-available satellite networks,” according to a statement provided to AMR. Also particularly innovative is a product offered by the company called Slingshot, which can be used to enable users of conventional V/UHF tactical radios to perform SATCOM using the Inmarsat (see below) L-TAC L-band (1.215-1.4GHz) SATCOM service. 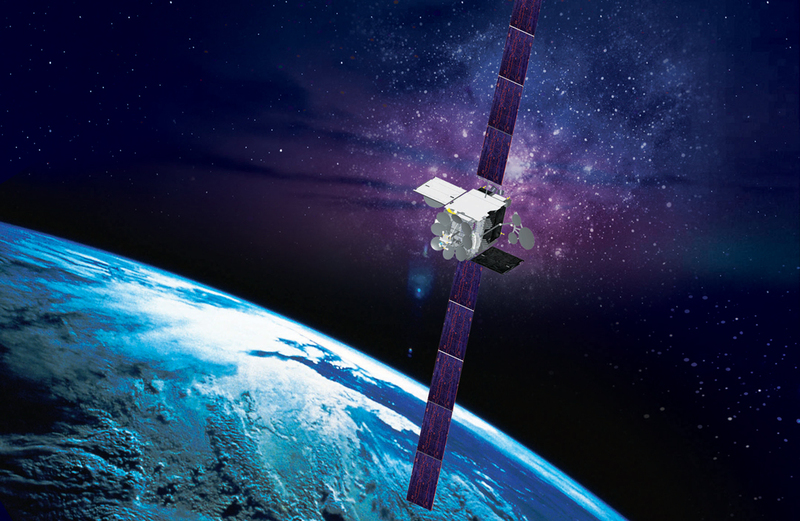 In addition, the company makes available SATCOM services for military customers using a number of satellite networks beyond those of Inmarsat, such as the Iridium constellation which offers global voice and data coverage, and the single satellite operated by ViaSat (see below). As well as supporting militaries around the world with the provision of SATCOM, Satcom Direct adds that it “has supported US DoD commercial SATCOM needs since 2003.” Within the Asia-Pacific region, it was provided voice and data tracking services for a fighter aircraft fleet of an unnamed nation. As noted above, ViaSat is a significant player in the provision of SATCOM for military and government customers. Headquartered in San Diego, California, the firm has carved an important niche in providing secure SATCOM, particularly in the aerospace domain, where government officials or military commanders may require robust connectivity while in the sky to enable the command and management of military operations, or of contingencies as they develop. The firm provides high definition streaming broadband SATCOM to soldiers and commanders both in static locations, and while on the move. This enables users to perform video conferences, while also accessing military communications networks, performing conventional voice communications, and handling data. 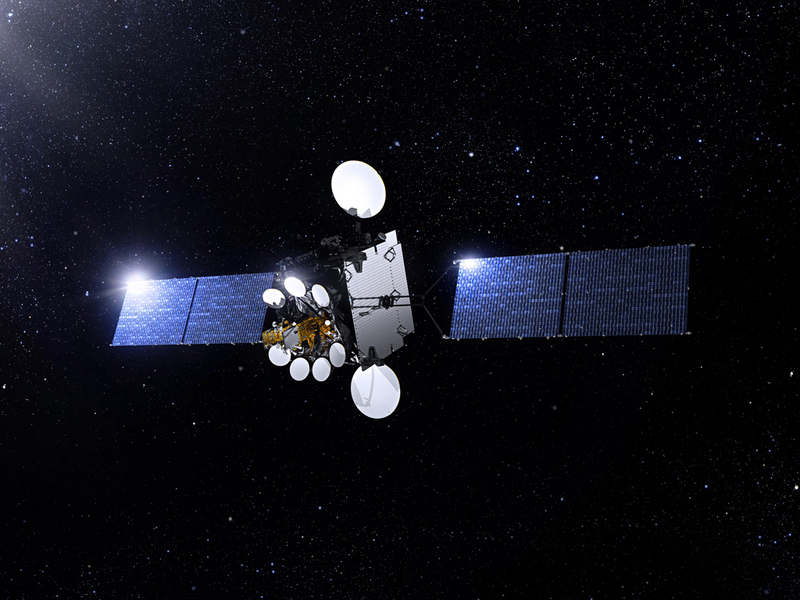 The company currently possesses a single satellite, ViaSat-1 which will receive a sibling, in the form of ViaSat-2, by the end of 2017, possibly being joined by ViaSat-3 (which will be a Ka-band satellite) in 2019. The company also owns two other spacecraft, WildBlue-1 and Anik-F2. Allied to this, is the increasingly ‘wired’ nature of military platforms, the firm notes which, “are employing bandwidth hungry data applications on aeronautical platforms. This includes reconnaissance and command and control subsystems … These applications are driving the need for high throughput connectivity to all manner of aeronautical platforms.” Mr. Start adds, another interesting factor to the drivers propelling demands for military SATCOM in the Asia-Pacific is “access to the internet (which) has become a human right for anyone under the age of 30. The people who are joining the armed services, in the Asia-Pacific and beyond, are people who expect to have access to the internet.” Secondly, but no less important, “Spending money on SATCOM provides greater situational awareness,” as this can help to federate diverse sources of intelligence, Mr. Start adds, which translates into cost savings by enabling sensors and reconnaissance systems to share the information they gather and hence be used in a more cost-effective way.